In this stunning novel, award-winning author Beryl Bainbridge offers a fictionalized account of the doomed Antarctic expedition led by Captain Scott in 1912. At once hair-raising and beautiful, here is an astonishing tale of misguided courage and human endurance. The Birthday Boys of the title are Scott and four members of his team, each of whom narrates a section of the book. As the story progresses the reader discovers that these men may not be reliable reporters. Their cocky optimism is both ghastly and dangerous. Brought up to despise professional expertise, their enterprise is lunatic, amateur and gentlemanly. Beryl Bainbridge makes it hauntingly clear: the men are fatally doomed in their bravery, the very stuff of heroes. Captain Scott's poignant trek becomes, in this remarkable novel, an historical event which prefigures the terrible new world dawning in Europe. It was an inept rehearsal for the carnage of the first world war, the ultimate challenge for the arrogant generals who shared Scott's skewed notion of courage that led men qualmlessly into harm's way. Subtle, poetic and unforgettable, The Birthday Boys is impossible to read without experiencing that magical shiver up the spine which is caused when great writing touches the soul. The Birthday Boys is a novel about perseverance. This novel is a look at humanity in the face of increasingly inhospitable conditions and the camaraderie of a group of ill-fated scientific explorers whose story is evidently famous. Personally, I know little of this expedition and have only read works on the Shackleton expedition. I honestly had no idea there was a second expedition on route at the exact same time as Shackleton’s until I read this account. Regardless, the perilous nature of the arctic during this time is well envisioned by Bainbridge in this alternating narrative concerning the push to reach he pole. 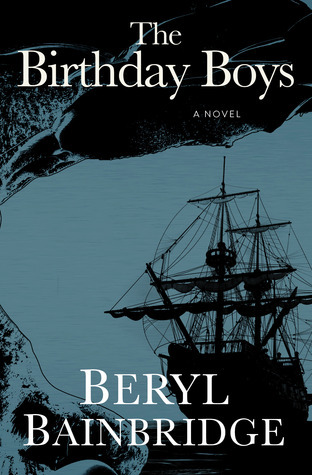 Originally written in 1991, Birthday Boys is still a powerful fictional account of Captain Scott‘s expedition to the Antarctic in 1912 and should still be consumed by readers of today. Bainbridge marries the style of classic novels and modern flair to create a haunting account of the ill-fated voyage and her doomed crew. I found Bainbridge’s tale of survival on the ice sheets illuminating in a few ways. First, there were probably far more expeditions to the pole than what is in popular historical record. Second, all expeditions sent to the pole during this era were doomed. Modern technology has made living on the polar caps possible – although still incredibly difficult – but the early explorations relied on human capital and luck to survive these conditions. Today we have insulated parkas, heated buildings and advanced medicine to combat the effects of the elements, yet during Captain Scott’s expedition in 1912 they took ponies, basic medical supplies and sleeping bags made of material that freeze solid when wet. It is one thing to rationally understand the conditions early expeditions encountered, but another entirely to read a fictional account based on historical records. The suffering the members of this expedition and their animals faced was sometimes difficult to read. The men of the Scott expedition continued to dream about their loved ones and the warm sunshine until the very end of their tales. Each man held onto the knowledge that soon enough they would set sail from the Arctic and return home – many of which planned to make this journey their last and settle down. Birthday Boys was a sad tale about an ill fated voyage. I did not know what to expect going into this novel and was frankly surprised by the ending. I also found the characters to be a tad difficult to differentiate from when I had taken a break from the intense and often overwhelming monologues of the crew. Each crew member recounts their experience before setting sail for the Arctic, and each reveals their experiences on the ice once cold, frost bite and hunger set in. Hostility, fear and depression set in and each crew member recounts how they suffered. What really stuck with me once I finished reading Birthday Boys was the hope the crew members continued to hold until the very end. Unfortunately, there isn’t much more I can say about this novel. It was short but difficult to read, it was well written but often too intense and it will undoubtedly be a classic some day. Strong characters, realistic situations and a well researched fictional account of a real event with an exploration of the psychological effects the doomed crew of Scott’s expedition experienced on their final journey to the top of the world. This novel will appeal to readers who enjoy historical fiction, psychological exploratory novels and novels with extremely dark subject matter. A warning to readers that this novel does not have a happy ending and the struggles of all involved are not for the faint of heart. This well written, thoroughly researched and beautiful novel may fool readers by it’s small size, but is as densely packed as any popular classic novel. Dame Beryl Margaret Bainbridge DBE was an English writer from Liverpool. She was primarily known for her works of psychological fiction, often set among the English working classes. Bainbridge won the Whitbread Award twice and was nominated for the Booker Prize five times. In 2008, The Times newspaper named Bainbridge among their list of “The 50 greatest British writers since 1945”. A Year in Review: Stats!